Turnkey Technology has a full in-house tool room equipped with high quality German and Japanese CNC milling and EDM machines. We have highly qualified and experienced toolmakers that are ready to work with you on even the toughest projects with confidence and at a competitive price. Extensive experience in complex mouldings allows us to tackle any project with confidence. 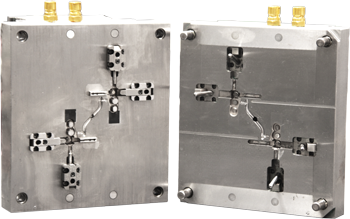 We specialize in economically built aluminum and steel moulds for low volume or bridge tooling. Some of our aluminum molds have produced over 1,000,000 pcs. We can supply hybrid or full hardened steel and stainless production moulds for trouble free 24 hours manufacturing. 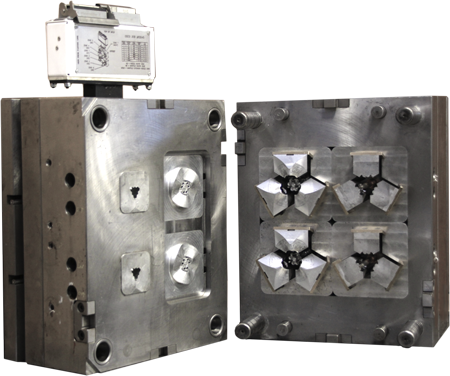 We have experience in building all types of high production tooling with some of our moulds running with a cycles as fast as 5.1 seconds.